Will Bitcoin drop to $0, or would Bitcoin hit $50,000 by the end of this year? After some research, I have found an answer that I hope would satisfy you. So, what is a bubble? 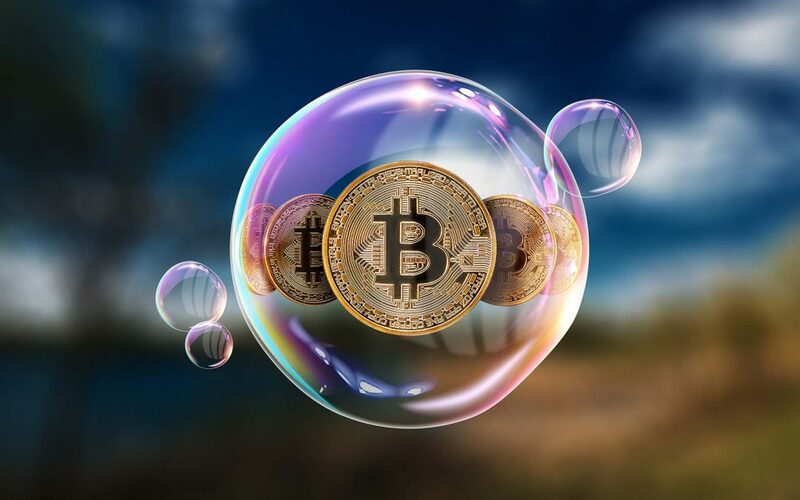 There are a few characteristics of bubbles such as high level of hype, media coverage and also the lack of intrinsic value and somehow, Bitcoin and its recent trends fit the bill according to most. Yes, cryptocurrency as of now do not have any intrinsic value but the potential is limitless. Perhaps, the correct statement would be, “Cryptocurrency has no intrinsic value YET”. That said, bubbles are always good because it draws attention to the space like the dot-com bubble where we saw various innovations that came out of it. However, as traders ourselves, we must always find ways to profit in both the upturns and the downturns. Simply looking at the chart that I plotted (the green line) on top of a template of a standard bubble, we can see that right now, we are at around $8,000 – Bitcoin price down from the peak at $20,000. I figured Bitcoin to be at this location despite it having had so much media attention because I feel that not enough institutional funds have come in yet. But it will definitely start to pour in once Bitcoin stabilizes and ETFs are launched probably this year or so when the SEC finally allows ETFs to come into play. Big funds usually don’t like investing in high-risk instruments and ETFs does negate some of the risks. Only then would such funds consider investing in Bitcoin as part of their portfolio. Many people have been saying that the bubble has popped and Bitcoins’ days are over. But to me, we have merely stepped into the beginning of the crypto and blockchain era. I believe that people who continue to hold cryptocurrencies will definitely be rewarded in the long run despite being faced by such insane volatility in recent times. I feel that potentially, Bitcoin might head south a bit more to around $6,000 once the regulation from US (SEC) comes in but with that being said, I think there’s still a long way to go for the cryptocurrency. We are definitely in the middle of a bubble, but just a small one, we will see Bitcoin dip in the months to come before possibly hitting $50,000 in the future. The dot-com bubble took some years to recover but most importantly, some rise up more than the others. Good companies survived and flourish while weaker companies just died. Looking at this chart, we can see how Microsoft, Oracle, and Intel thrived amongst the many others that collapsed. The main question is, who will be the Microsoft of Cryptocurrencies? To me, it’s a clear winner that Ethereum will be probably the one and that’s why I encourage most to hold mostly onto Ethereum simply because of its potential to emerge amongst other altcoins. Many new coins are coming up every day and maybe one day, some other coin will be even better and more useful than Ethereum and take over both Bitcoin and Ethereum in market cap. But, we will never know as crypto is unpredictable. From the chart, we can see how Apple Inc was affected by the dot-com bubble. Can you even spot the dip? It’s nothing compared to what it managed to rise up to after that. Yes, its price did drop from $4 to $1 but now it has risen to $150. In all honesty, I strongly believe that we are just getting started. Join My Telegram Channel for Timely and Relevant Updates on the Crypto Market!